This function enables users to view on all the time slots of a resource of a day. Select the Branch, Resource Code and Date, then click 'Submit' to get the time slots list. Users can book a time slot from here if the Booking Status is Available. To book a time slot, just click on the respective time. A screen to enter the details will appear. Fill in all the required details, click 'Submit' then 'Confirm and Save'. A pop up box asking 'Are You Sure the Details Are Correct?' will appear. Click 'OK' to proceed. 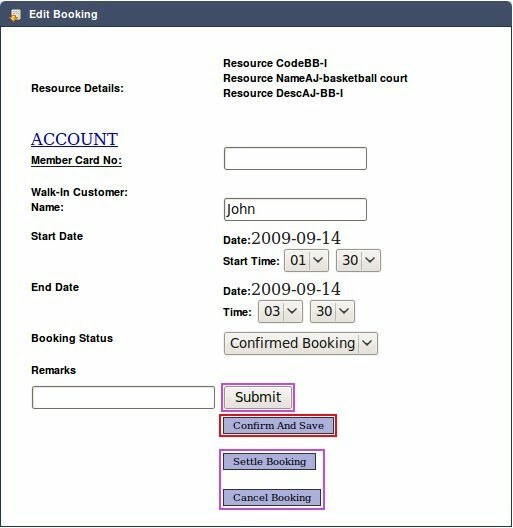 The Customer Name, Booking Status and Booking ID will appear accordingly in the respective field. 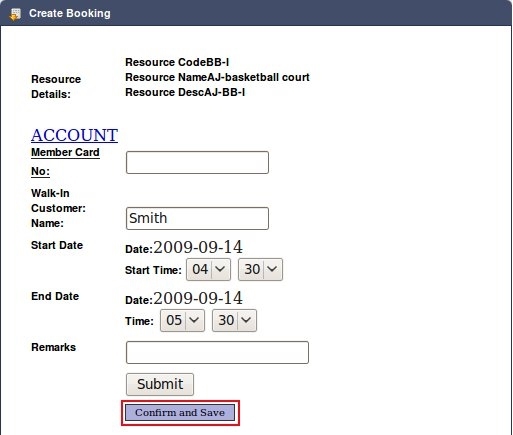 Users can edit, settle payment or cancel a booking by clicking on the respective Booking ID. After editing the details, remember to click 'Submit'. To settle the payment, click 'Settle Payment'. The system will direct user to the Fullscreen Cashsale. After the payment is paid, the invoice number will be shown next to the Booking Status. Users are not allowed to edit the booking once the payment is made.